The Bigger Picture was founded in 2012 on the basic premise that art is an invaluable catalyst for learning across all subjects and among children of all abilities. Our main objective is to help develop a critical eye among more young people, whatever their academic interests and background. We value inclusivity, creativity and fun and believe unequivocally in the intrinsic value of art as a universal language. All our tutors are experienced art historians, lecturers, teachers and artists who share a passion for passing on their love of the visual arts and art history. Inspire students of all ages and backgrounds to engage with art history and criticism across the curriculum. Support teachers in their specialist subjects as well as with UCAS personal statements, extended essays and projects, and general studies by bringing a fresh viewpoint and an outside voice into the classroom. Stretch pupils by helping them to engage in new forms of critical thinking and visual analysis. To help build relationships between Independent and State Maintained schools through inter-school courses across and between age-groups. Celebrate art history as well as British history and bring our cultural heritage to life with onsite visits to Museums, Galleries and sites of historical interest. ​An education system which allows every child to fulfil their potential and to appreciate the value of visual learning. And, to enable students to form independent connections with art and material culture therefore enriching their academic and personal interests. To improve access to learning for all children by providing schools with affordable educational support, bringing a fresh perspective to the curriculum through visual critical analysis and creative thinking. 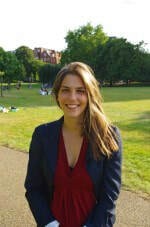 Alex works with students of various ages both at home and abroad, tutoring in Italy and for private clients in London. She completed a BA in Modern History at Oxford and following this studied Roman Baroque Architecture at the Courtauld Institute. She then worked in a commercial gallery for three years, where she curated a number of important exhibitions and developed a strong interest in Modern British art. While working at the gallery she also published a book on one of their leading artists and meanwhile began to teach in Italy for Art History Abroad during her holidays. Alex then started teaching more for AHA and complemented this by writing her second book, this time on the history of an old English Family published by Brewin Books. Alex has also travelled extensively in the UK giving talks in schools on a wide variety of art-related topics. Lavinia studied History of Art at Oxford University, where she graduated in 2008 with a first class honours. Lavinia specialised in the art of the Ballets Russes and the Renaissance before gaining an MA from the Courtauld Institute of Art (2010) focusing on 16thcentury works on paper and Titian. In between her studies, she contributed research for the V&A's online display of 20thcentury Fashion Illustrations and worked for a London Gallery specialising in 20thcentury Italian art. She spent a year (2011) as an assistant and researcher for art and history documentaries including a BBC2 series on Ancient Rome and a Channel 4 arts series. She currently works for Art History Abroad and tutors History of Art in London and Paris. Lavinia is also writing and researching her first children's book.